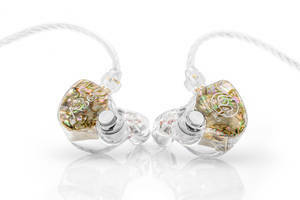 64 Audio has announced the launch of three new custom in-ear monitor models for musicians and audiophiles; the A6t, A4t and A3e. The A6t and A4t feature 64 Audio’s new patent-pending tubeless tia technology that works by eliminating sound-altering tubes and dampers. Sound is able to disperse freely and effortlessly. The A6t features tia and LID™ (Linear Impedance Design) technolgoy to improve upon its popular 6-driver predecessor. LID™ ensures a consistent frequency response. All three models also feature 64 Audio’s patent-pending apex™( Air Pressure Exchange) Technology. VANCOUVER, Wash., Nov. 6, 2018 - 64 Audio, the leader in custom and universal fit in-ear monitors, is proud to announce the launch of three new custom models for musicians and audiophiles. The A6t (MSRP: $1,299), A4t (MSRP: $999), both of which feature 64 Audio’s new patent-pending tubeless tiaTM technology, and A3e (MSRP: $699) are now available at 64audio.com and authorized retailers.